Days and nights with Holland America Line are among the most memorable of a lifetime. Sail in classic style on beautifully appointed mid-sized ships where gracious service anticipates every desire. Relax in a chaise lounge, melt into a massage table, or learn to arrange flowers, blend wine and edit digital photos. Surprise and delight your palate with exquisite dishes and cultural delicacies created by some of the most influential chefs in the world. Then let the music lure you to The Showroom at Sea, or dance to live jazz, dueling pianos or a chamber ensemble at Lincoln Center Stage. As you stroll the wraparound teak deck, the salt of the sea blows you a kiss goodnight. Then tuck into total comfort in your stateroom with the promise of coffee on your private verandah, where you’ll watch new worlds take shape on the horizon. Choose from hundreds of carefully crafted itineraries to more than 400 ports of call. Jump-start your ideal immersion with the help of Destination Guides in partnership with AFAR – available online and on board. Together with travel experts, guest speakers and a host of enriching activities, you’re ensured a carefully curated, highly personalized introduction to the most fascinating places, people and cultures on Earth. Savor the spacious surroundings and fresh innovations of the new ms Koningsdam, our first Pinnacle-class ship. Light filled spaces. Fluid curves. Interiors feature fresh takes on guest favorites like the Dining Room and pool areas, along with breathtaking venues, and engaging and innovative experiences. 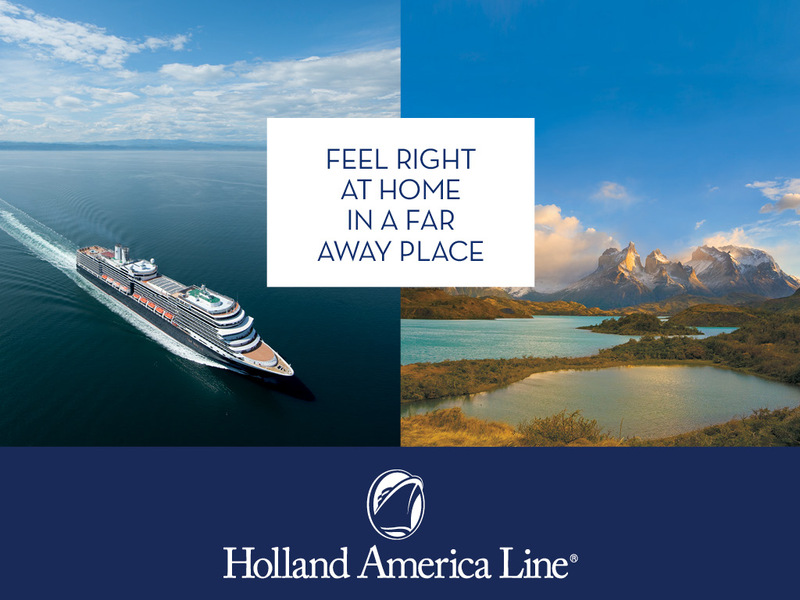 Enjoy all the pampering and amenities Holland America Line has been known for nearly 145 years.